The Sony Playstation 3 is a powerful gaming system with a lot too offer. With a vast amount of multimedia options, the PS3 doesn’t just give you the ultimate gaming experience, but it also delivers much, much more. It’s the features like internet access, image viewing, digital audio and video chat that make this console stand out from all of the rest. You’ll find that the console can be a bit stylish, so you can easily not mind the amount of space it takes up. This console has a 3.2 GHz Cell processor and 256 MB of built in memory. It also has XDR RAM technology which allows it to go at a speed of 3200 MHz. It runs on an advanced NVIDIA RSX graphic processor which has a speed of 550 MHz. The hard drive is 80 GB, which is a huge amount compared to anything out there on the market. It also features a Blu Ray optical hard drive, which is an excellent way to view movies. It has expansion slots that support SD Card, Memory Card Slot, Memory Stick Pro Duo, Memory Stick Duo and Compact Flash. The wireless capabilities include Bluetooth, IEEE 802.11b, IEEE 802.11g and Wi-Fi. Another great feature is the Progressive Scan DVD Playback. 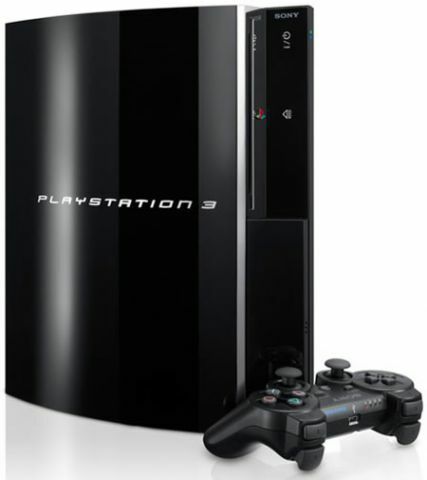 The PS3 is available in many different colors, but the most available is black. From a Gadget Addicts perspective, this device can perform a perfect amount of capabilities in just one awesome unit. Although the PS3 might seem pricey at first, you’ll later notice that buy combining all the devices you would buy separately in just one sleek device, you will actually end up saving bucks. Primarily made for playing video games, you better believe that you’ll receive beautiful graphics that will leave you baffled. I would buy the PS3 again in a heart beat.